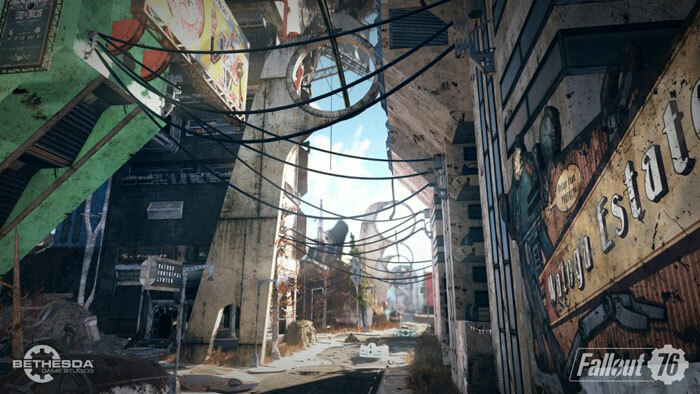 Bethesda designed Fallout 76 to be a wholly online game. There won't be any NPCs in this game, everyone you meet will be a real person. Unfortunately, as with any collection of anonymous online folk it won't take too long to bump into unpleasant, disruptive, and wilful trolls. 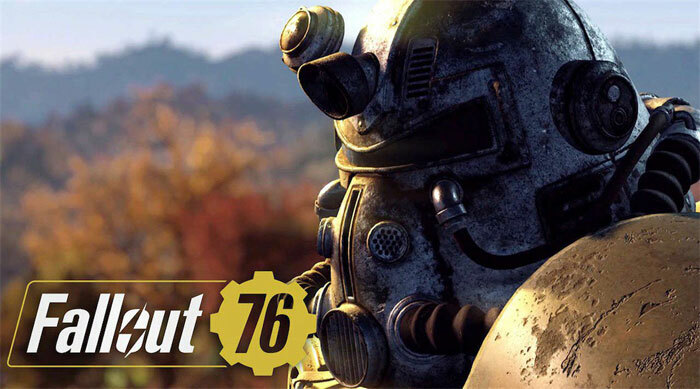 Rather than ask people to put up with gaming trolls, and hope the game mechanics and community can make Fallout 76 into an enjoyable experience overall, Bethesda has come up with some intriguing gameplay modifications to make trolls part of the game. The troll quelling ideas were revealed at a presentation at the recent QuakeCon. Talking about PvP and protection against 'griefers' in the game, game lead Todd Howard revealed that people who kill unwilling victims will get bounties on their heads. He added, importantly, that the bounties would be paid out of the perpetrator's currency balance and such folk will be highlighted by red stars on the map. Thus troublemakers will be easy to see and other players will be motivated to take them out of the game. Furthermore, there will be a revenge bonus where, if you enjoy this dish best-served-cold, you can get twice the bounty for your troll-elimination achievement. If you are killed in the game you won't lose your core gear like weapons and armour, so it is less of a stressful environment in that respect. If you recognise undesirables by their names later on your can simply block them so they won't be part of your online experience. Lastly, there is even a so called 'pacifist mode' where your weapons won't deal damage to other players, keeping you out of accidental fights. Overall it is promising if the so-called griefers' ability to warp online gaming for their personal schadenfreude is limited from the outset. If you have had your eye on this game you might already be aware that it won't be released on Steam but will be a Bethesda launcher exclusive on PC (in November). It is launching on PS4 and Xbox One consoles too. I've been wanting a co-op version of Fallout since I first played Fallout 3, but I really wish it was PvE. I'll wait and see how the reviews go, but I doubt I'll be buying '76. I did have this pre ordered, then they announced it's not going to be available on steam. I'm not installing another store-client…its bad enough needing three (Blizzard/Steam/Origin). Really annoying that Bethesda wants to be greedy and now share any of the revenue with Steam…just smells like they are expecting a lot of micro transaction sales to me and they want 100% of it. A double blow for gamers! So it's ok for Blizzard, EA and Valve to keep all the money from their game sales but not anyone else? GTA V also implemented a bounty, and a few other, checks against “trolls”. They are player-activated though, so can be used on anyone, including random innocents in a game session. They also implemented a “passive mode” which renders a player immune to direct offense by other players and inhibits their ability to do damage back. In general, it all works fairly well but there are flaws in GTA V. Such people generally have a habit of either cheating or leveraging (friends / ridiculous weaponry a new-amateur player can't get / verbal taunting) to get others out of passive mode and spawn kill them. Worse still, making real money in GTA frequently requires that you play in a public lobby and remain out of passive mode, so new players and grinders don't get the choice of relief from “trolls” whether any of these anti-troll features are in use or not. Inversely, the game actively encourages players to hunt down others who are attempting to make money, even for very meagre reward… Implementation is everything. I've been wanting a co-op version of Fallout since I first played Fallout 3, but I really wish it was PvE. You, me, and a very long queue of others. I have no idea how Fallout has existed for so long and failed to get a standard co-op game at any time. Agree with wanting fewer libraries, and stores, etc, but the rumour mill is coming out with some interesting things about the inside of Valve's development structure. There were plausible accounts from ex-Valve exployee(s?) saying that company culture revolves around making new features for existing things, both for financial advantage and job security, and tasks such as maintaining and securing existing products and services were (are?) valued far less. It's a games company who (I can't count Artifact until it's purchasable) hasn't released a game since 2013 (2012 if you argue that IceFrog does all of the heavy lifting in Dota 2) and exists by selling digital cosmetics and leeching from other game developers and publishers. Steam isn't even impressive as a piece of software. This kind of pressure is long overdue, whether we like the hassle or not, IMO. Fallout is an RPG series,and Vault 76 was a control vault,so suddenly every one is out to kill each other?? Also the lack of private servers too?? This could have been implemented so much better,ie,you play as a Vault “team” who has to work together after leaving the Vault,and secure and protect resources over a period so you can survive in the new world. If you don't work together it makes it harder to survive,etc.